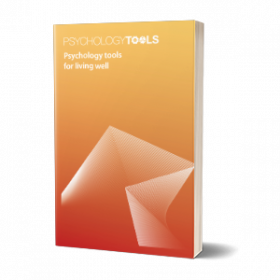 www.psychologytools.com is a site owned and operated by Psychology Tools Limited, a company incorporated in England And Wales under number 10810854 with Our registered office being 32 Queens Road, Reading, Berkshire, RG1 4AU. Psychology Tools Limited is the controller and responsible for your personal data. • Identity Data includes first name, maiden name, last name, profession, username or similar identifier, marital status, title, date of birth and gender. • Transaction Data includes details about payments to and from you and other details of materials and services that you buy from us. • Profile Data includes your username and password, purchases made by you, your interests, preferences, feedback and survey responses. Where we need to collect personal data by law, or under the terms of a contract we have with you and you fail to provide that data when requested, we may not be able to perform the contract we have or are trying to enter into with you (for example, to provide you with goods or services). In this case, we may have to cancel an agreement you have with us but we will notify you if this is the case at the time. • Where we need to perform the contract we have entered into with you. • A third-party payment processing agent, such as PayPal or Stipe if you make payments using those platforms. • A third party(ies) to whom we may choose to sell, transfer, or merge parts of our business or our assets. Alternatively, we may seek to acquire other businesses or merge with them. If a change happens to our business, then the new owners may use your personal data in the same way as set out in this privacy notice.